Much like clockwork, Samsung's memory labs are cranking out yet another innovation in the mobile DRAM sector, with the goal being to make the next (next) generation Galaxy Tab -- and any other mobile device relying on Samsung memory -- faster than ever. This go 'round, the crew has developed a 1Gb mobile DRAM module with a wide I/O interface for smartphones and tablets, enabling it to transmit data at 12.8GB/sec. For those keeping count, that's an eightfold increase in bandwidth compared to LPDDR2 DRAM chips, and the company has also managed to trim power consumption by 87 percent all the while. In order to boost the data transfer rate, Samsung's new wide I/O DRAM uses 512 pins for input and output, dwarfing the 32 pins used in the previous generation. 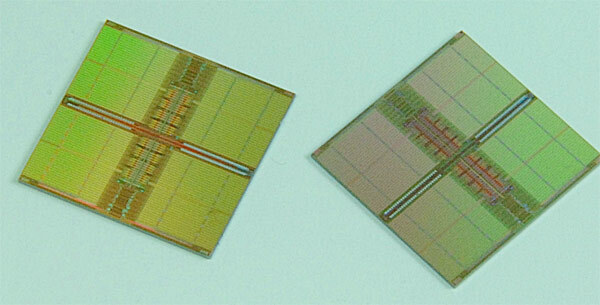 Following this, Sammy's hoping to provide 20nm-class 4Gb wide I/O mobile DRAM sometime in 2013, but we're hoping to see this particular development sashay into tablets that hit the market long before then. Sadly, there's no specific word on when, but you know we'll be handing that information over just as soon as we get it.